Credit Karma encourages you to “know your odds” in a series of new spots, part of an ad campaign titled “Know Your Odds”. 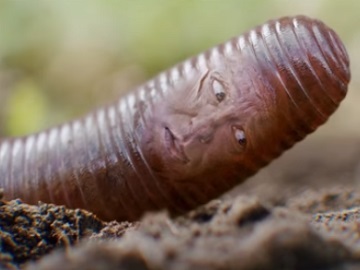 One of the ads features a guy reincarnated into a worm who is approached by a pigeon and… you imagine what follows. “Odds of being reincarnated the way you wanted: Not great. Odds of getting approved for a credit card: Pretty great,” the voiceover says at the end of the commercial, urging then viewers to find out what their odds are at the company’s website. Other spots in the campaign feature a woman at a potluck, whose odds of being asked for the recipe are not great at all, a guy whose odds of beating his genetic clone in a fight are not great either, and more.